Side B: Hard + Good (Pneuma Remix), Santa Ana Winds Inst., Hard + Good Inst. 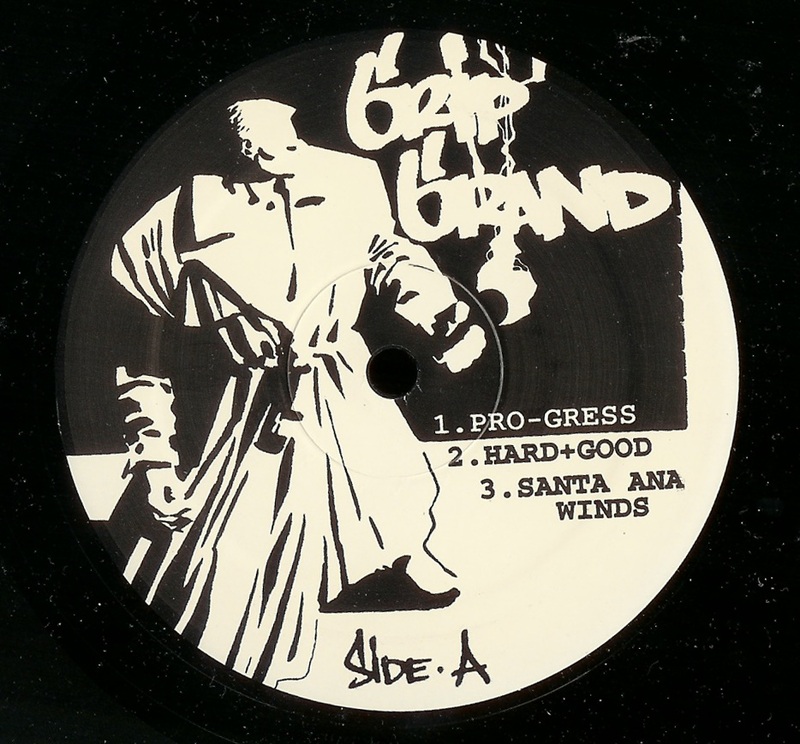 Extremely rare, this is the first-ever Grip Grand release, self-pressed in 1999 and limited to only 300 copies. Less than one box remains (still sealed, too), and then they're gone forever. Contains three songs from Welcome To Broakland (the only vinyl appearance of any tracks from that album), plus two instrumentals and a remix by respected drum n' bass producer DJ Abstract. Not available in stores, a GripGrand.com exclusive.